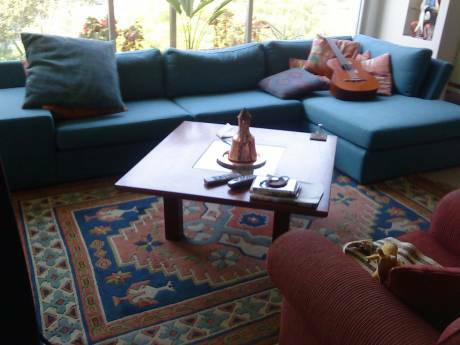 We offer a compact, completely renovated city apartment in a beautiful old Bauhouse building. The central space includes the kitchen, dining area, small living-room with a sofa that can sleep one (or two people who are friendly) and work space. 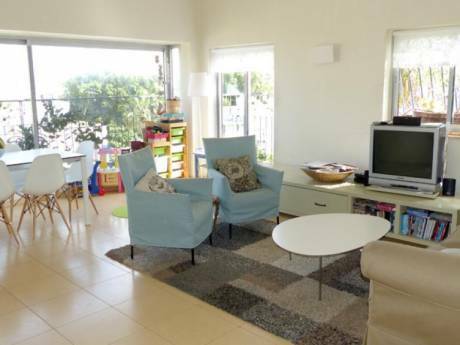 Two bedrooms lead off from this central space - one with a double bed and lovely large windows with greenery outside, the other a child's room with a guest bed under the bed. The area is not large but wisely divided and very comfortable. I am a single mom with nine-year old daughter. I work as an executive in a large beverage conglamorate. My daughter and I very much enjoy traveling to visit various family members who live or are studying abroad. We have never exchanged apartments before, but it seems to be the ideal way to really get to know a new country. We would like to spend time in Paris this summer, and will be sure to take very good care of your home! 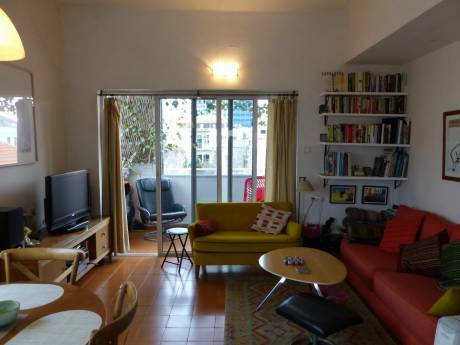 Situated in the trendly "Heart of Tel Aviv" area, the apartment is ideally located for those looking to enjoy Tel Aviv's young local scene, a bus ride away from the beach, the main shopping streets, museums and galleries. Many artists and students live in the area, alongside familes and older folk. There are many cafes and restaurants, shady avenues where people stroll, ride bikes, rollerblade and stop for coffee at kiosks. Weather is warm (hot in the summer) and always sunny.